It is prohibited under ADA rules: No ADA trustee, council member, spokesperson, consultant, or employee is permitted to work with an “anti-amalgam” organization. According to the ADA’s conflict of interest policy, “In order to further the goals of the anti-amalgam organization the ADA official or employee would breach his or her duty of loyalty to the ADA because fundamental goals of the ADA on public health are in conflict with the anti-amalgam organization.” Hence, members of the ADA Council on Scientific Affairs are inherently biased in favor of amalgam – to speak out would conflict with the ADA’s “fundamental goal” of preserving amalgam. It is not profitable to oppose amalgam: Historically, the ADA has warned dentists about the dangers of mercury in dental offices...but only when the ADA stood to profit. 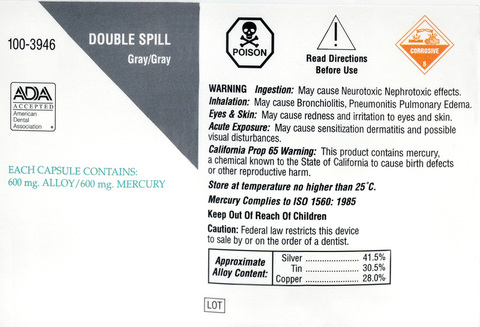 An ADA brochure titled Protect Yourself and Your Staff Against One of the Hazards of Your Profession with the ADA's Mercury Testing Service used to warn dentists that “Office spaces may be contaminated with mercury from leaky amalgam capsules and from the lingering effects of accidental spillage. High speed handpieces and ultrasonic compactors that vaporize mercury can lead to unsuspected inhalation.” For $75 per person per year, the ADA offered a mercury testing service for dental staff that was “complete and confidential” (i.e., we won't tell your patients about the mercury). It seems that this service was not profitable and the ADA apparently discontinued it. It is profitable to promote amalgam: Meanwhile, the ADA has found it more profitable to promote amalgam – from owning amalgam patents (#4,018,600 and #4,078,921)... to selling the ADA Seal of Acceptance for use on amalgam bottles... to cozy relationships with amalgam sellers who “donate” to ADA programs... to endorsing a brand of amalgam separators through its for-profit subsidiary ADA Business Enterprises. After more than a century of promoting a public health risk, it’s about time that the ADA starts taking heat! And it’s going to get hotter.